income resulting from the services as an employee or independent contractor. To the statement ‘earned income’ may include the income which is earned as salary, wages, professional fees, or any other amounts received as compensation for personal services.  Let’s be honest- have you aware been aware of exclusions? 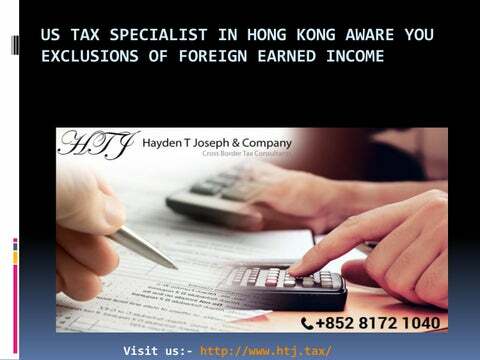 Well, that’s why the hiring the US Tax Services Hong Kong considered the ideal option among US taxpayer to redeem the right to applicable exclusions.  In other ways, self-employed income also qualifies the criteria set for the exclusions in the realm of foreign earned income, but this exclusion doesn’t reduce the employment tax- the mechanism by which selfemployed person becomes liable to pay his social security and Medicare taxes. 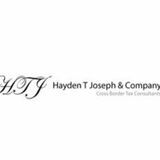 How The Amount Of Granted Exclusions Affects The Overall Tax Calculation?